University of Kentucky | Clarksville Sports Network - Clarksville Tennessee's most trusted source for sports, including Austin Peay State University. The Vols (17-5, 7-3 SEC) enter the contest as winners of their last five games and eight of the last nine. During the stretch, defense has been the key for UT’s success. Tennessee has held its opponents to under 65 points in each of the last seven outings and now ranks 6th in defensive efficiency in the KenPom rankings. 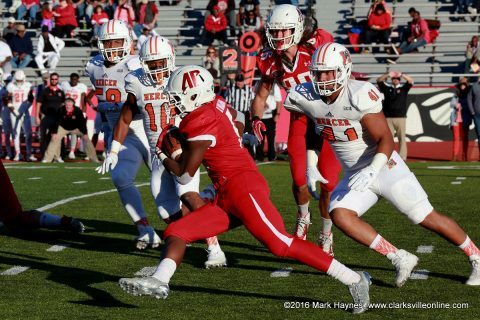 Lexington, KY – The Austin Peay State University football team concludes the 2016 slate by stepping out of Ohio Valley Conference and Football Championship Subdivision play with a road trip to Southeastern Conference member Kentucky, Saturday, with kickoff scheduled for 3:30pm, central time on the SEC Network. 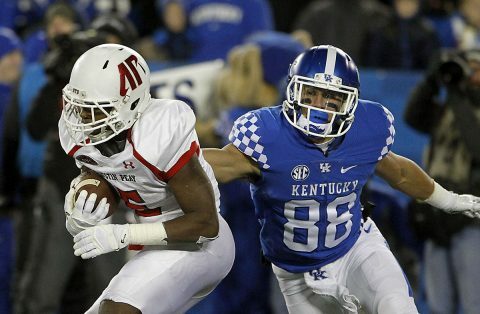 Austin Peay Governors Football heads to Lexington Saturday to take on the Kentucky Wildcats. 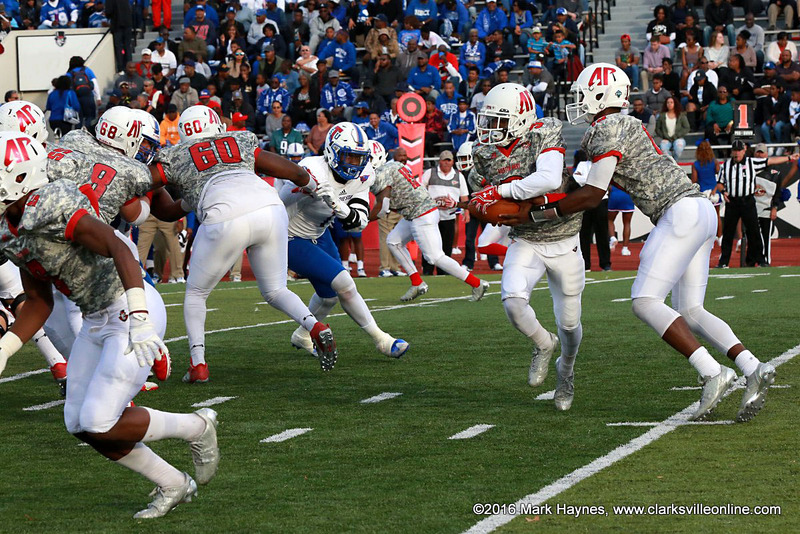 Clarksville, TN – The game time for Austin Peay State University football team’s away matchup at Kentucky, November 19th, has been set for 3:30pm, the Southeastern Conference announced Monday. Austin Peay Governors Football travels to Kentucky Wildcats November 19th. 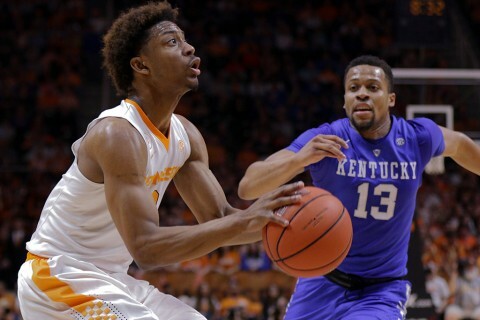 Knoxville, TN – Tennessee is headed to Lexington for the second edition of this year’s border battle with Kentucky. 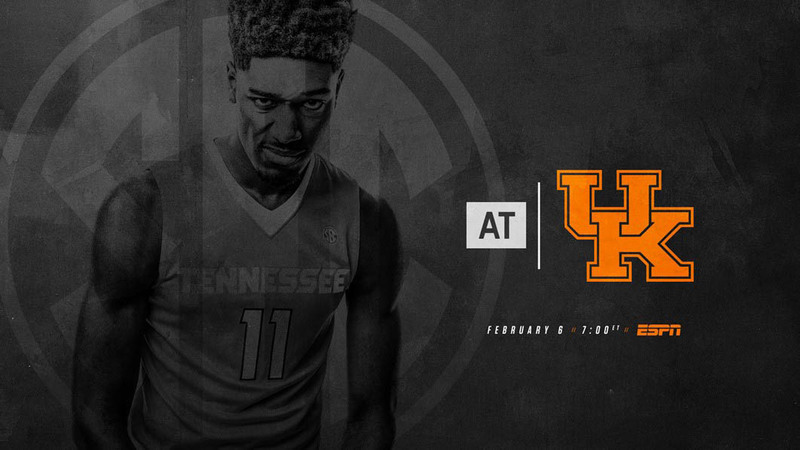 The Vols meet the 14th-ranked Wildcats on Thursday with tipoff from Rupp Arena set for 7:00pm ET/6:00pm CT on ESPN. Tennessee (12-13, 5-7 SEC) picked up a memorable victory in this season’s first meeting between the two programs, rallying from a 21-point first half deficit to claim an 84-77 win at Thompson-Boling Arena. That victory snapped a two-game losing streak to Kentucky (19-6, 9-3 SEC) and marked one of the largest comeback victories in program history. Knoxville, TN – Once down 21 points, the Tennessee Volunteers rallied to earn a 84-77 victory over No. 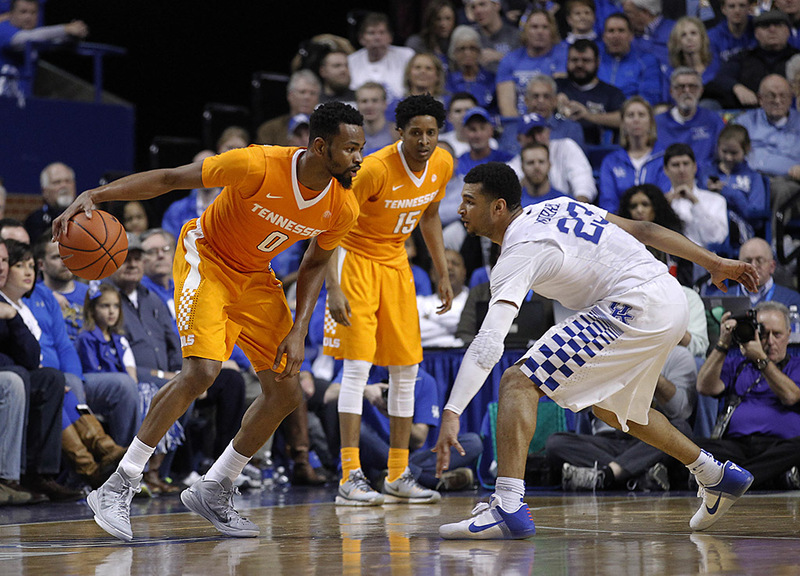 20 Kentucky in the 219th meeting between the two schools Tuesday night at Thompson-Boling Arena. Kevin Punter Jr., the Southeastern Conference’s second-leading scorer, led the Vols with 27 points, including hitting 11-of-12 from the free throw line. 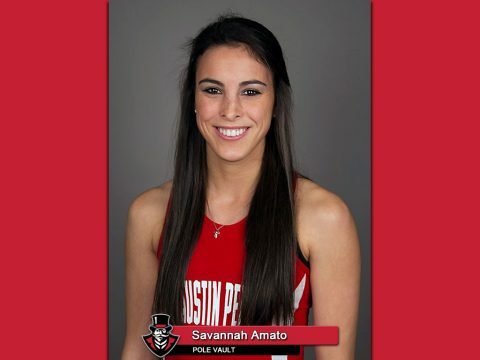 Fellow senior Armani Moore scored 18 pints and pulled down a team-high 13 rebounds. Detrick Mostella had 13 points while Admiral Schofield added 11. 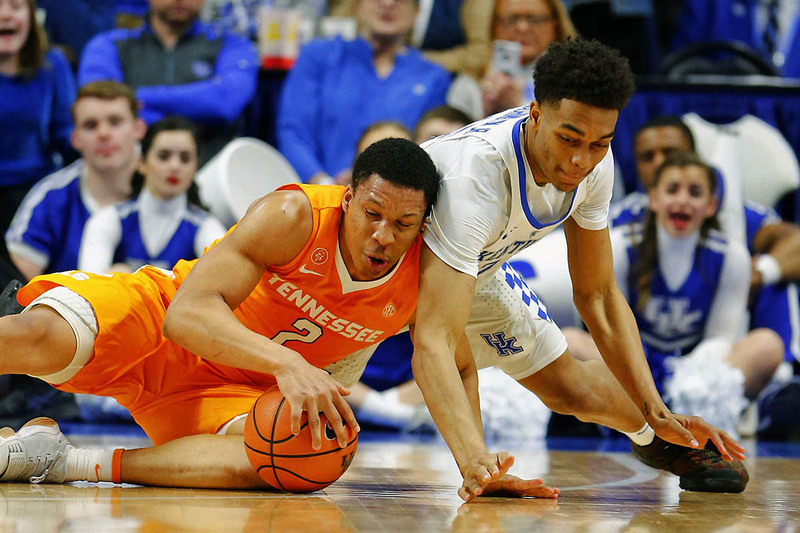 Knoxville, TN – For the 219th time, Tennessee meets Kentucky on the hardwood when the two programs square off at Thompson-Boling Arena on Tuesday night. Tipoff between the Vols and 20th-ranked Wildcats is set for 7:00pm ET/6:00pm CT and will be televised on ESPN as part of Super Tuesday. Tennessee (10-11, 3-5 SEC) will be looking for its second win over a ranked opponent this season and its 68th win all-time against Kentucky — the most of any other collegiate program in the country. The Vols’ all-time record against the Wildcats is 67-151, a mark that includes a 47-52 record in Knoxville. Twenty-one of Tennessee’s 67 wins have come against a ranked UK squad.